The room was sizeable enough for the four of us and had a nice separation between the sleeping area and lounging area. It has a complete kitchen and a washing machine for laundry (note there is no dryer though). There is also a small safe for keeping valuables. Friendly and helpful staff. The staff were really helpful in finding us a more appropriate room for our group. The lodging we were initially assigned was woefully inadequate. Very efficient use of space. Clean. Great location! Stayed at Aramunt apartment for a week with my family with a 3 yr old daughter and a 10 mths old baby. Barcelona is extremely charming with character and is still extremely peaceful and calm even with the Catalunia Independence being the talk of the town. Location is excellent to explore most part of the towns. Get the T10 transport card, nearby metro is 500 mt away and bus stop just stone throw away. More importantly is close to many supermarkets around if you want to do some groceries. Only part that need some improvement is the quality of the sofa bed. Excellent location, check in on-site, dishwasher and washing machine is great to have. Bed very comfortable. Terrace is amazing. Everything is nrar by. Friendly staff. It was awesome, I would stay there again. Alison was very helpful going to a foreign country could be scary but she made it easy to find where we needed to go. Loved our view. This apartment was in a great location. It catered to three of us adults very well although the fold out couch into a sofa bed was very wobbly. It was great having a washing machine and dishwashing machine in our room and there was a pack of dishwashing liquid and tea towel there for us to use too. 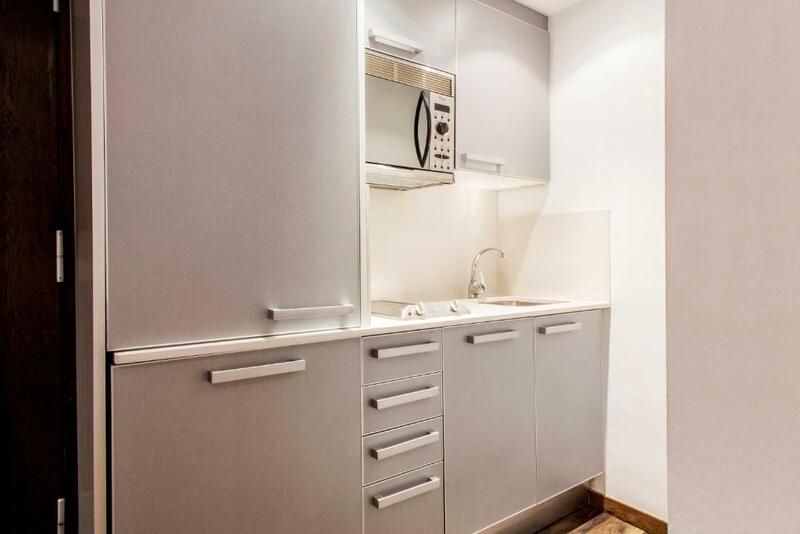 Aramunt Apartments offers modern, stylish studios 10 minutes' walk from Passeig de Gràcia Metro Station. 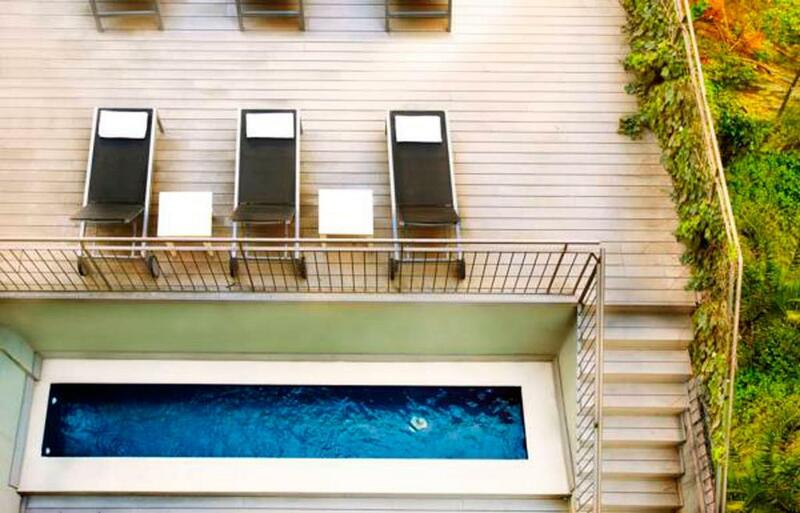 It features free Wi-Fi, and a terrace with sun loungers and a small swimming pool of 20 feet by 1. As a guest of the Aramunt Apartments you enjoy free access to the Barcelona Egyptian Museum. Pay public parking can be found next to the property and busses to Barceloneta's beaches stop outside. 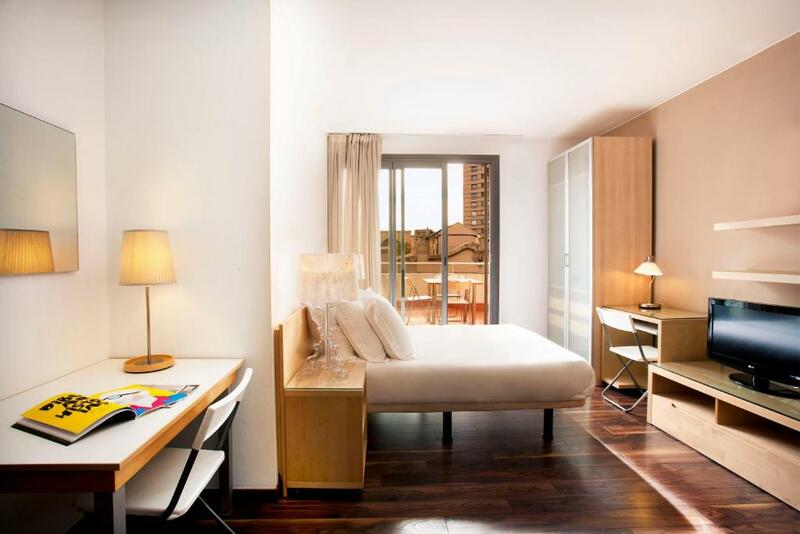 When would you like to stay at Barcelona Apartment Aramunt? This open-plan studio enjoys plenty of natural light. It has a fully equipped kitchenette with a washer dryer and a dishwasher, a dining area, and a seating area with a flat-screen TV and 1 double sofa bed or 2 single sofa beds. The bathroom comes with a bath and shower, hairdryer and free toiletries. Please be aware that apartments do not include daily cleaning services. Cleaning service is on request and may apply a fee. This larger studio enjoys plenty of natural light. It has a fully equipped kitchenette with a washer dryer and a dishwasher, a dining area, and a seating area with a flat-screen TV and a double sofa bed or two single sofa beds. The bathroom comes with a bath and shower, hairdryer and free toiletries. 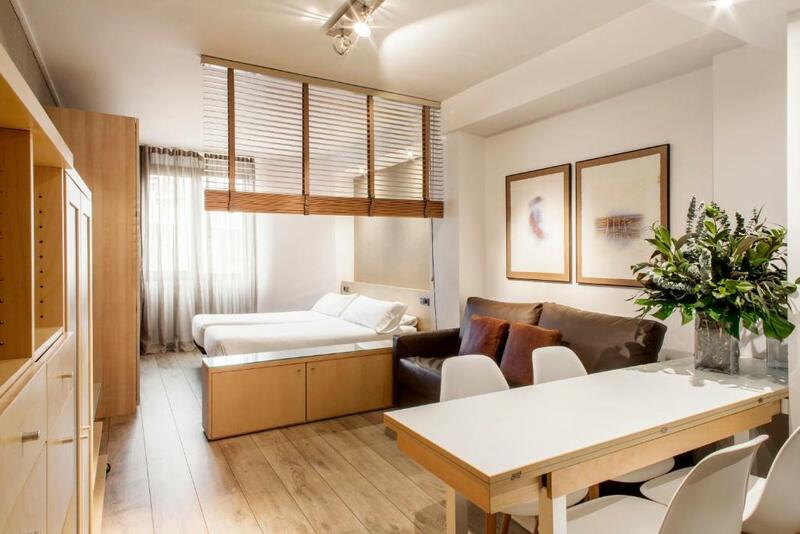 This studio for 2 includes a double bed, a sitting-dining area with an individual sofa and a well-equipped kitchenette, plus a full bathroom. Ground-floor apartment of about 164 ft². It comes with a double bed and a single bed, a living room with a double sofa bed, fully equipped kitchenette, two bathrooms with bath / shower and private terrace. The Aramunt apartments are located in the heart of the Eixample district, an area of Barcelona Art Nouveau par excellence. 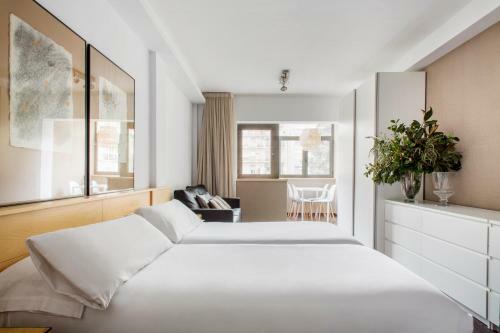 Just a 10-minute walk from Passeig de Gràcia and 15 minutes from the Ramblas and Plaça Catalunya, they provide the perfect home base for discovering the city in any direction. Barcelona Apartment Aramunt are located in the Eixample district. House Rules Barcelona Apartment Aramunt takes special requests – add in the next step! Barcelona Apartment Aramunt accepts these cards and reserves the right to temporarily hold an amount prior to arrival. Please note that only 1 general cleaning of the apartment is included only for stays of 6 nights or more. The cleaning service for shorter stays, and additional cleaning service requests, are subject to a supplement of EUR 45. 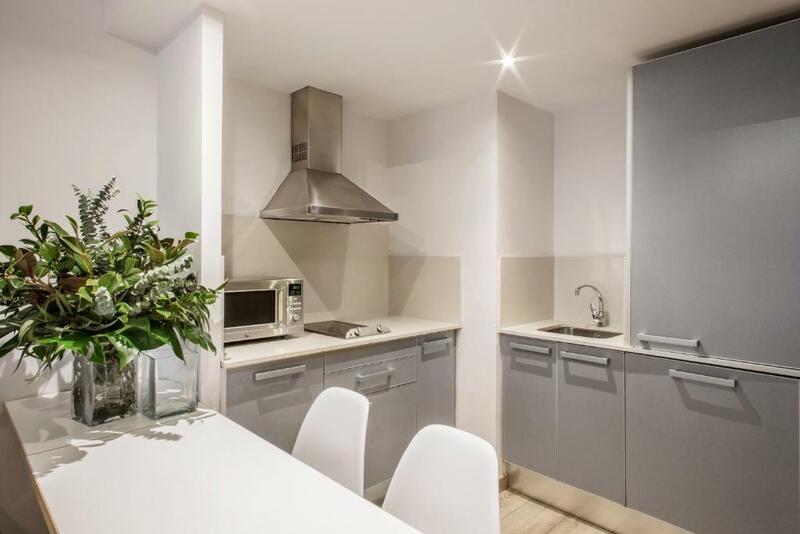 Please note that the kitchen must be left clean and tidy on leaving the apartment at the end of your stay. An additional EUR 25 will be charged in the event that this is not done. Rooms were smaller than advertised. Superior studio is more like 20 than 35 sqm. The pool shouldn’t be called a pool as it is too small. It is more like a foot spa. Everything. It was perfect. Staff were really helpful. Very small for 3 people. Our son had to sleep on a sofa which generally is OK, but the sofa in our room was inconvenient, did not stretch well and was constantly shrinking and shrieking. Since this is an apart-hotel, it was very noisy. The third night we could not sleep until morning by noisy neighbors. Very good location. There is a reception, so you can come even late in the evening. It was clean. We don't have hot water to shower. Only 1 person got the hot water to shower and rest of 3 got ice cold water. The staff were awesome and tried to help us much as they can. The staff was very hospitable and over all we had a lovely stay.I would recommend this property to all my friends and family. Great for family with kids. There is everything you need. Staff extremely nicenand helpful. Good position 15 mins away from placa cataluna. Location, helpful, friendly staff. Clean & comfortable. Excellent apartment for the price we paid. Great location, near to Metro & Rail and lots of buses passing the area. Walking distance to Placa Catalunya & La Rambla. Bars, restaurants and LIDL very near the apartment. Clean apartment and friendly staff. Nice terrace on 1st floor. Noise from the terrace below. Very noisy rooms. The sofa bed was very noisy with kids sleeping. Neghbours were very noisy. we almost did not sleep a decent night. Amazing location and apartment! Highly recommended.